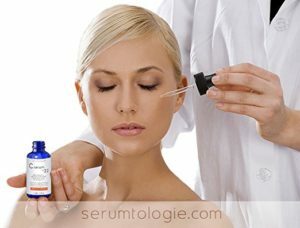 What does the Serumtologie Vitamin C Facial Serum do? The Serumtologie Vitamin C serum (with 22% Vitamin C) gives your skin a super boost of antioxidants which help to protect your skin against the actions of free radicals. It also helps to reverse the damage caused by the sun and environmental pollutants and reduces the appearance of age spots and sun spots. 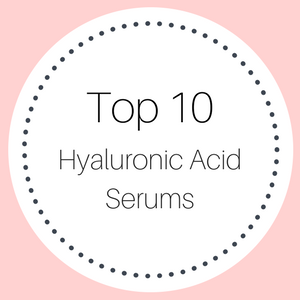 The hyaluronic acid gives you a super pulse of hydration, which is delivered into the deeper layers of your skin, and the production of collagen is stimulated. Your skin cells are rejuvenated, fine lines and wrinkles are minimized and your complexion looks healthier, fresher and more youthful. Reduces fine lines and wrinkles. Fades sun spots and age spots. Boosts hydration and stimulates collagen. Free from parabens, sulfates and synthetic dyes. Who should use the Serumtologie Anti-Aging Serum? Anyone who wants to rejuvenative their skin will benefit from this serum. 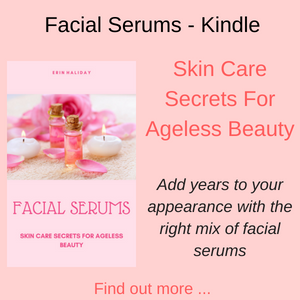 So if you have fine lines and wrinkles, sagging skin due to a loss of collagen, age spots, sun damaged skin or just dry and rough skin – then this serum will make a whole world of difference to your complexion. The result of using this fabulous serum is a more youthful complexion, with tighter skin, fewer fine lines and wrinkles and a lovely fresh vibrancy. 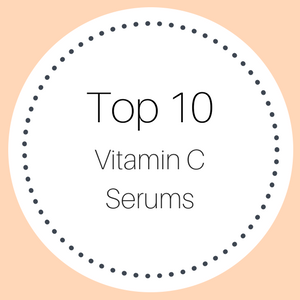 How do you use the Serumtologie Vitamin C Face Serum? After cleansing your face and neck in the morning, apply 5-7 drops of the facial serum to your face and neck and wait for it to absorb into your skin. 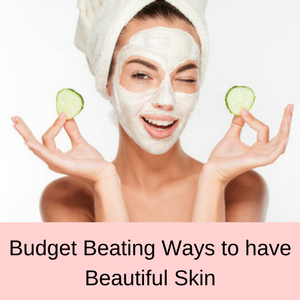 You can then apply a moisturizer, sunscreen and makeup as desired. Make sure to just pat your skin dry after cleansing, so it is still damp when you apply the serum. 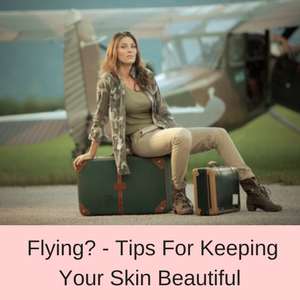 This helps to stop your skin becoming too dry and if you do tend towards dry skin, follow up with a moisturizer. This vitamin c facial serum contains a professional grade 22% vitamin C, 5% Hyaluronic acid, and 1% Vitamin E and 1% Ferulic Acid. It does not contain parabens, phthalates, petrochemicals, sulfates, synthetic dyes or fragrances and is suitable for vegans. It is made in the USA and is made from natural and organic ingredients. This serum has an unconditional guarantee, so if you are not happy with this serum during that time they will refund your money. Vitamin C is a super antioxidant that is essential in wound healing and cellular repair. It also helps to fight the signs of aging caused by free radical damage and promotes the production of collagen. Serums that include vitamin C help to rejuvenate your skin, reducing discolorations such as age spots or sun spots and give you a blemish free complexion that looks younger, healthier and more radiant than we have seen in years. The benefits of hyaluronic acid are due to its super absorbent properties as it can penetrate your skin deeply and absorb more than 1000 times its own weight in water. 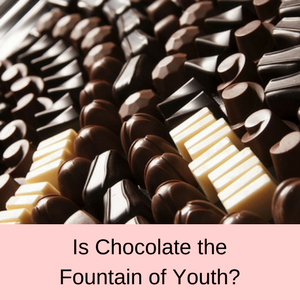 The problem is that as we age, our production of hyaluronic acid rapidly diminishes leaving us with dry and rough textured skin that has lost its luster, suppleness and youthful vitality. Serums with hyaluronic acid give you a powerful and intense pulse of hydration to your skin, giving you a more youthful and radiant glow to your complexion. 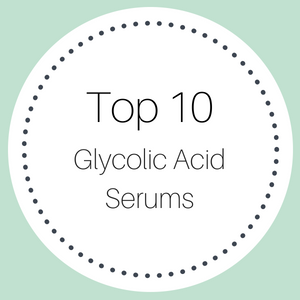 Hyaluronic acid also stimulates the production of collagen and serums with a combination of vitamin c and hyaluronic acid give you the best of both worlds – super hydration and lots of powerful antioxidants to fight the damage caused by free radicals. Ferulic acid is one of the most potent antioxidants and it increases the efficacy of the other antioxidants in the serum. Free radical damage caused by sun exposure is reduced, fine lines are minimized and aging skin is lifted. The texture and the smoothness of your skin is greatly improved. Long used in skincare products because of its moisturizing effects, vitamin E is also a strong antioxidant and helps to reverse the signs of aging caused by free radicals. Having both vitamin C and vitamin E in your face serums, really gives your skin a rejuvenative boost and helps to even out your skin tone and give your skin that extra level of vibrancy and freshness seen in younger looking skin. MSM is a sulfur compound that aids other hydrating ingredients to penetrate the deeper layers of your skin. 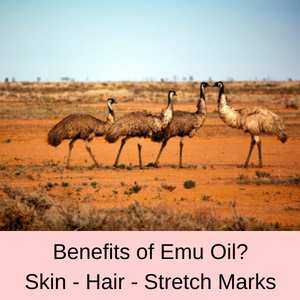 It also has anti-inflammatory properties and is essential in cellular repair. Sulfur has long been used to reduce the effects of acne and in healing scars, but is also effective in reducing the effects of eczema and psoriasis and in minimizing dark spots, aged spots and hyper-pigmentation in your skin. 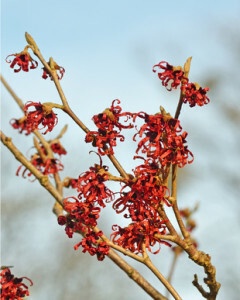 Long recognized for its anti-inflammatory properties, Witch Hazel helps to heal dry and irritated skin. It also helps to prevent moisture loss from our skin and aids in healing sunburn and dry, flaking skin. As a natural astringent, Witch Hazel also helps to reduce oil in our skin, helping to both heal and prevent acne. L-Arginine helps in wound healing, collagen production and contains anti-bacterial compounds which along with antioxidants in the serum helps to repair damage caused by free radicals. Jojoba oil contains wax esters, which as we age are lost from our skin. 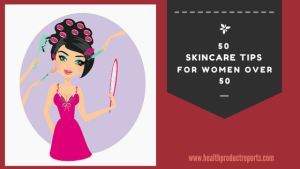 These help to keep our skin highly moisturized and supple, however as we age, the production of these esters in our skin diminishes and the ability to retain moisture is also lost. Not only does jojoba oil contain essential wax esters, but it also contains Omega fatty acids, as well as antioxidants. 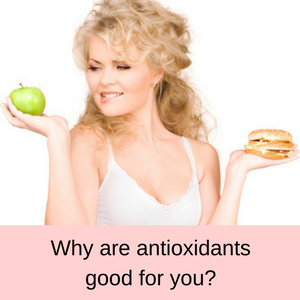 So you have the added benefit of antioxidants to help fight the damage caused by free radicals and a more youthful looking skin. Described as the plant of immortality by the ancient Egyptians, Aloe is well-known as a powerful healing agent for burnt or sun-burnt skin. Aloe is also of benefit in treating flaky or dry skin, and it is said to help relive the itchiness of psoriasis. It also helps in the treatment of acne, reduces skin inflammation and fights the signs of aging. Aloe also contains many antioxidants and helps to reverse the signs of aging caused by free radical damage. 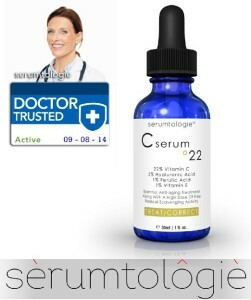 PROS: Nearly 90% of customer reviews gave this vitamin c facial serum a 4 or 5 star rating. Many customers state that their skin feels suppler, more toned and youthful, fine lines are reduced and some are receiving lots of interesting attention! 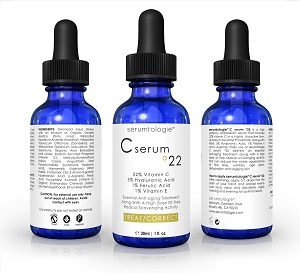 CONS: A few customer reviewers on Amazon gave this vitamin c face serum a one star rating. The main comments were that they did not see any difference in their skin after using this serum or it made their skin very dry. This is an amazing product – I saw results immediately. Like many women my age (54), I have an entire drawer full of failed products that I have purchased hoping for a miracle. I have now been using Cserum 22 for over 1 month and I am in love with it. My skin is smoother, more clear and fine lines have disappeared! Wonderful product! I have dry skin and this is the first product that I have ever used that keeps my skin moisturized all day. I am on my 3rd bottle of the serum. I really like the product and I am using it religiously. I am over 50 years old. The results are very good. My skin is looking better without any allergies I usually get. 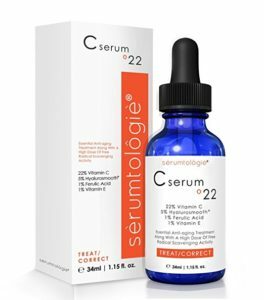 Reviews for this product are very good and customers love the look and feel of their skin when they include the Serumtologie Vitamin C serum in their daily beauty regime. It definitely works really well! 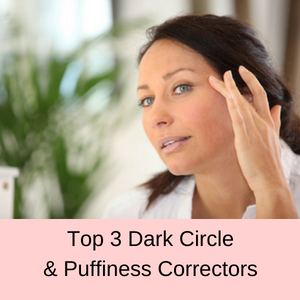 Your skin look brighter and fresher, the tired dull look is banished and any discolorations minimized. Check out my latest article here.